Having dental insurance can spring up unexpected extra fees and surprise membership charges. 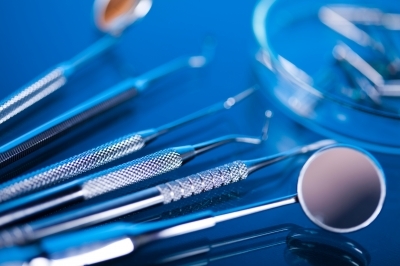 It’s important to be aware of hidden costs when considering a dental insurance plan. Find a policy that meets your budget, needs, and is affordable for you and your family. Companies unable to mandate your enrollment will often charge a sign-up fee. This charge reflects as a privilege to sign up with the company in question. These one-time setup fees most often sneak into family dental insurance plans. This is often how independent companies make a profit since sales agents make separate commissions. Look for these extra charges on your enrollment paperwork before handing over any money to the company. Individual services such as getting a cavity filled or a crown may not always be covered in your initial dental insurance plan. Many independent companies will put unadvertised charges for these lab services. These hidden fees can often come off as a surprise without warning, and are often a hefty amount. Make sure to determine if there are any unexpected lab charges before signing up with your chosen dental service. Sometimes costs aren’t always related to capital loss. Signing up with independent dental companies can put your personal information at risk. Some independent dental companies will sell your personal information for profit. This can lead to unwanted sales calls and junk emails. Be careful and be aware of who you give out your personal information to. Make sure the company you choose is trustworthy and has official statements about not giving away any personal data of their customers. Coinsurance refers to a dental insurance plan where the insured pays a share of the payment made against a claim. It determines the percentage of the cost covered that the individual pays. Having a bad coinsurance rate can add up with unexpected dental visits and procedures. If a surprise root canal costs the patient around $800, a 20% coinsurance plan rate will charge you $160. These smaller fees can grow to great amounts if not taken care of. Seeing the word “premium” on a dental plan might be confusing to select, but exploring all your options will save you handfuls of money in the long run. Premium isn’t always synonymous with the term “better”. Premiums refer to the annual costs of a dental insurance plan. Plans with lower premium amounts often have higher out-of-pocket expenses. This leaves the insured with unexpected co-payments and surprise bills. Find the balance between getting the coverage you need while avoiding sudden out-of-pocket expenses. There can be a lot of hidden dental costs within insurance plans if you don’t properly research into different organizations. Carefully consider a dental insurance company before jumping head first into an insurance plan. Choosing the right dental plan for your lifestyle can save you the trouble of hidden and unexpected out-of-pocket fees in the long run. Have you experienced hidden costs on your dental experiences before? If so, how did you handle them? Let us know in the discussion section below.